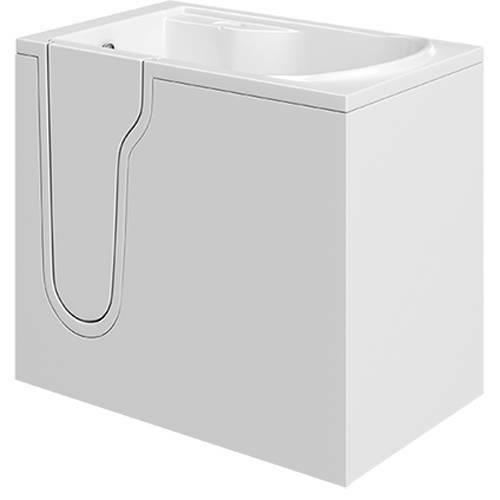 Mantaleda > Athena Mini Corner Walk In Bath With Left Hand Door (Whirlpool). Athena mini corner walk in bath with left handed door entry, integrated seat,12 whirlpool jets and under water lighting. Simple single lever door lock. Single plug and chain waste included (chrome). 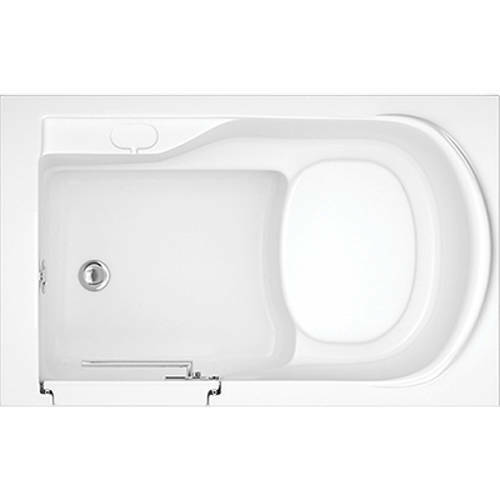 Bath size 1060L x 545W mm.